New MF tapestries. Seems like recycled this time around. Kind of nice Okita keychain. Melonbooks double sided tapestry. Reminds me of Goodwill’s reversible tapestry. Probably better though as it’s double sided print instead of annoying long piece of cloth made into a roll. 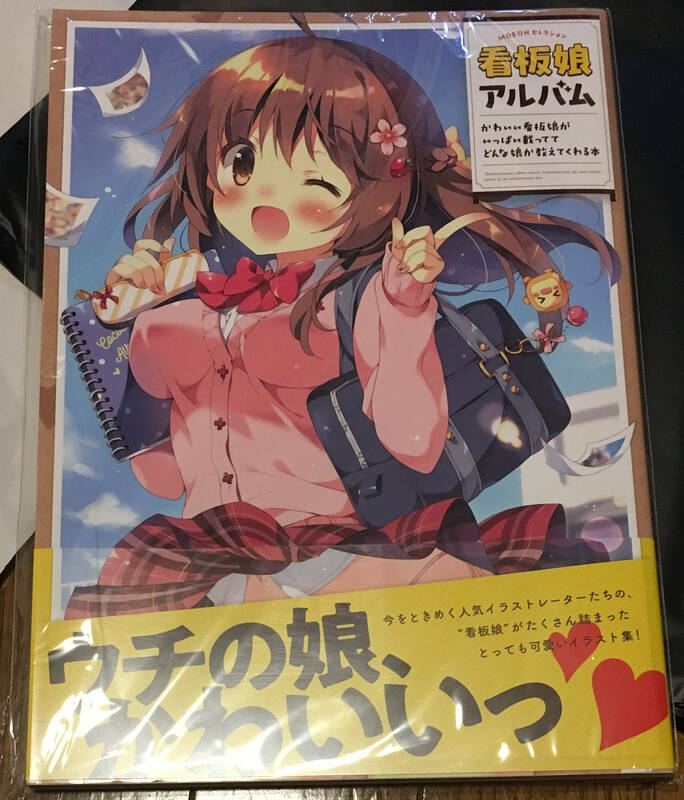 More melonbooks tapestry, this one by Komeshiro Kasu. Michiking manga turned anime. The bonus tapestry looks nice. Ryuusei World Actor doesn’t come with DRM. DMM title without DRM. Someone being logical here which is nice because the setting is not something I usually deal with and the illustrator, Akinashi Yuu, is the one who did Koichoco which I kind of like. Moeoh 2019 April goods. Nothing particularly interesting. Miyu. Very lewd. Another one, slightly less lewd. Military poster using Strike Witches. The only thing I got this week. There’s supposed to be some tapestries and other stuff from last month’s eroge release but the seller had some problem so it’s delayed. Questionable value and I don’t think there are many new illustrations at all. I think I’m at about 10% of Marine route at the moment. There will be some more distractions this week but we’ll see if I can make any good progress. Finished FGO event including the challenge quests. Thankfully without using any command spells though with Merlin. Watched some more movies as well. Spider-Man (because Japan is so early) and Alita (because I’m so early). Both quite good. Watched the first one in 3D as well and the conclusion is it’s still not worth it. The eyeglasses are cumbersome, the effect barely exists, and it’s expensive. Finally bought a new case for NAS server. This will take quite some time to setup including reverting to Windows 8 because I still don’t like Windows 10. About 80% return for last week’s auction. Not too bad. I don’t think I’ll put up anything this or next week as I’m trying to focus getting Tearstilla done. Or something. Still relatively quiet on budget side apart of slight dent from buying the new case. Nothing much else though. Maybe 9-nine pre-orders (20k) and aforementioned World Actor. And then as mentioned last week, AnimeJapan, Cuffs spring, and plane ticket. As mentioned before, I did all the chores and stuff before writing this post. It means I have about an hour extra for Tearstilla.